Looking for Foam Board or board mounted posters? We make them! We serve New Orleans and Metairie and have been making foam board mounted posters for a long time. You might have heard it called gator board, foam core, or foam board, but it is essentially mounting a poster on a board. The type of board we use will depend on your specifications. We have indoor and outdoor applications. Some types of board ship better than others. For intense, foam board mounted posters are easily damaged in boxes shipped through UPS. Some types of board absorb humidity and some do not. Some withstand heat and sun well and some will deteriorate quickly. 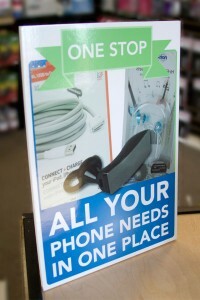 Talk to our expert sign team and let use help you determine what you need so you only have to buy your sign once!